With twelve gorgeous colors to choose from, how could you pass up the addition of a custom CamelBak water bottle to your next campaign? With 25 ounces (.75L) of BPA-free water bottle fury and a spill-free guarantee, you can just sit back and watch the tide come in. 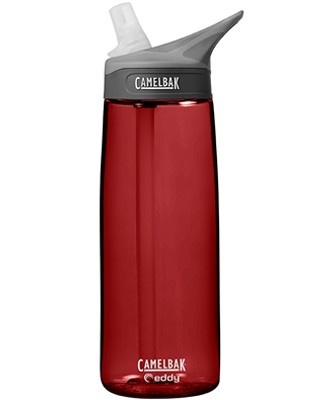 This CamelBak Eddy water bottle features the patented Bite Valve and straw technology with a threaded lid and integrated carrying loop for hydration on the move.